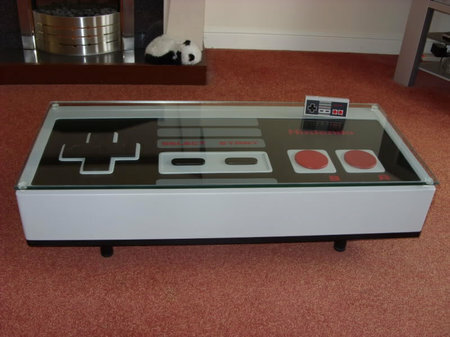 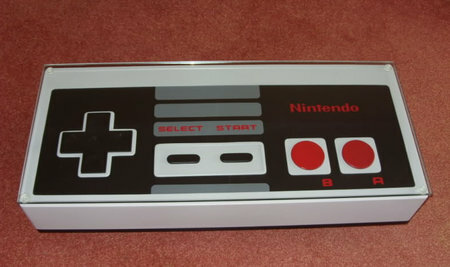 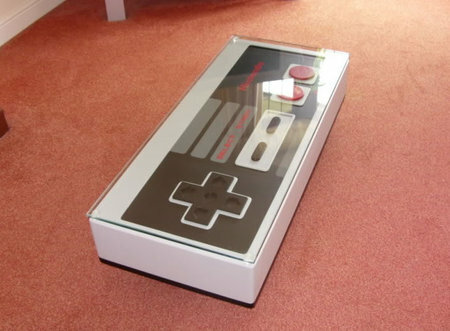 What you see is a one of a kind NES coffee table made to the exact aspect ratio of a NES controller. 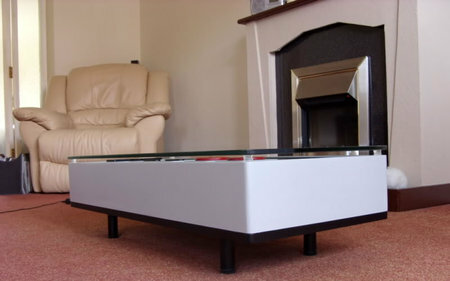 The table is 97cm x 43cm x 27cm and has a 10mm custom cut glass top. 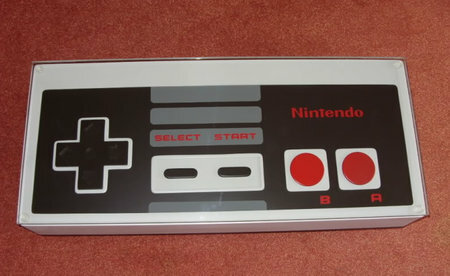 Head over to Ebay and fulfill you love for the Famicon.